Ah yes. It’s time to venture back to the tropics, this time instead of Afro & Latin influenced jams from the french Caribbean we will hear funk and soul grooves from places like Barbados, Guyana, and Jamaica. This comp gathers songs from 1968 to 1975 and shows the influence the James Brown had around the world. This is raw funk in it’s finest form. This has been getting me thru these over cast days lately. I love it! After the funk explosion of the mid 60’s, the groove soon took root in the Caribbean, mixing with the regions own diverse musical history. 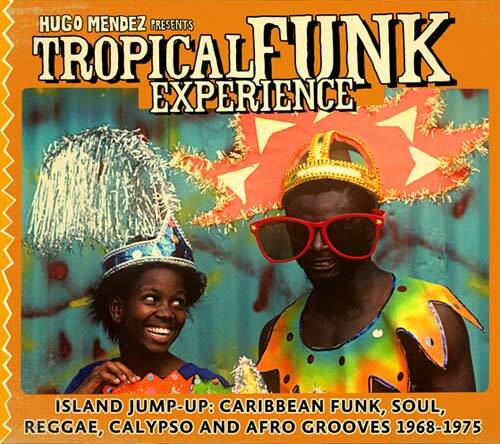 “Tropical Funk Experience” is a collection of tracks from the so called “golden era” of tropical funk of the late 60s and early 70s. It compiles rare, previously unheard recordings and classic tracks from across the Caribbean. Compiled by tropical authority, Hugo Mendez, the informed selection spans ten countries and the variation of styles and influences sets the compilation apart. Alongside some classic funk groove tracks, such as The Blue Rhythm Combo’s Black Water Gold version and a rare funk track by Jamaican Ska legends The Skatalites, it is the cross-genre explorations which really stand out. Andre Taker’s outstanding Back Home and The Gay Flamingoes epic, eight minute, steel-pan version of Afrobeat classic Black Man’s Cry represent the Trinidadian scene whilst the island of Barbados features heavily with groups mixing funk with their Bajan heritage, such as the spouge-funk on Lunar 7’s Spouge Explosion and Richard Stoute and The Organisation’s cover of Vehicle. “Calypso King” Mighty Sparrow turns out a very funky calypso alongside St Vincent Latinaires own Vincentian calypso-funk and the deep, psychedelic, jazz-funk of Bermudan band The Invaders is a rare treat. Mendez’ short but informative sleeve notes give background to the groups and tracks inspiring you to go a little further and look up the artists featured and the movements they created or belonged to. The product of musical discovering and deep crate digging, this great 20 track compilation is, as with the previous “funk experience” releases, a welcome insight into the overlooked influence funk music had across the world. I meant to put his up last night but because my body wasn’t used to the amount of beer that was consumed, I ended up just passing out. 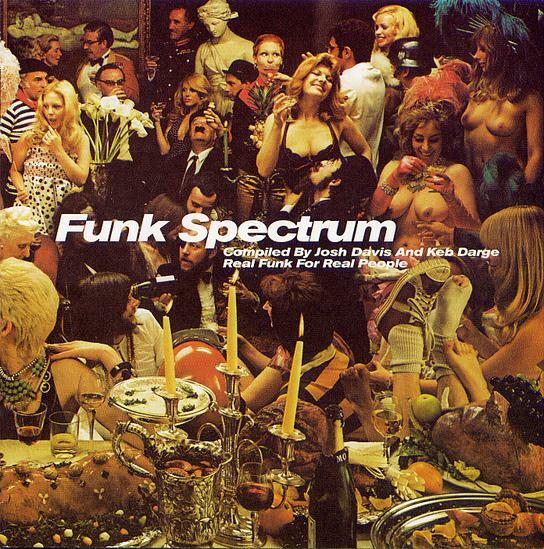 So to pay homage to the Gurp City homies, who got down to a bunch of Soul and Funk music last night, I will share a great comp I found a while back called Funk Spectrum. I probably played each of these tracks twice on Fool’s Paradise. I was surprised to find out that Josh Davis is DJ Shadow. Weird. 10. Whats Going On? – Mr Clean & The Soul Inc. If you like this album, check out this movie….